February is my birthday month, so this blog is all about pampering, indulging, and splurging! 1. Kate Spade New York "Charm - Travel Magazine" Clutch: I love purses, but I especially love purses that are classy and eyecatching. 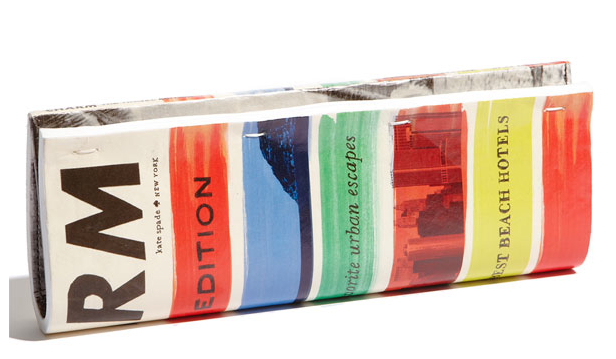 This clutch is so clever because it looks like a rolled up magazine. 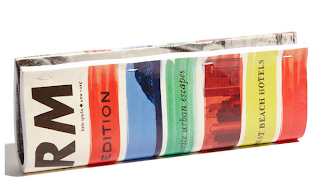 And it's a travel magazine, so it's just perfect for me! 2. 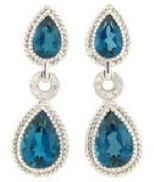 London Blue Topaz: I stumbled upon this gemstone variation recently and have become very intrigued by the stunning blue color. Searching for it online to learn more, I found the jewelery incorporating the stone can vary in price, from reasonable (on overstock.com for example), to moderate (e.g., Costco), and then moderately expensive (e.g., Blue Nile, but probably because of the diamond setting). So pretty! And different! 3. 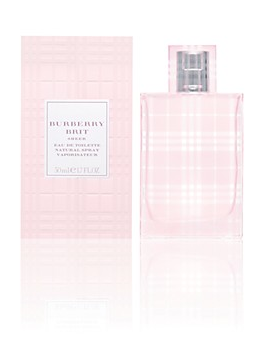 Burberry Brit Sheer Eau de Toilette: Since it's February, the "Hallmark" month of romance, I thought I'd add my favorite perfume. I don't normally wear perfume, especially at work, because I'm conscious of other people's sensitivity to smells (including myself! ), but this is such a light scent it's really appealing to most. And it just makes me feel good when I'm wearing it! 4. 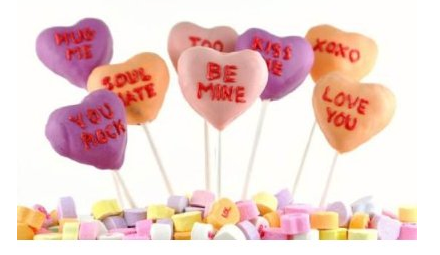 Conversation Hearts Cake Pops: What better way to get in the spirit of this month's holiday than by making some sweet treats, and perhaps personalizing them with funny messages. These mini heart cakes can be made using the Wilton Petite Silicone 12 Cavity Heart Pan. 5. 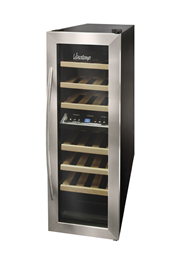 Dual Zone Wine Refrigerator: My little indulgence for the house that also makes good sense. Think about how much you tend to spend on a bottle of wine only to have it go bad, assuming that it wasn't bad to begin with. It is scientifically proven that storing wine at the appropriate temperature (around 55ºF for reds, 45ºF for whites) with proper humidity control preserves the intended flavor and reduces spoilage. When shopping, I used the advice I found on Wine Cooler Expert's website over the biased opinions on shopping sites, like Amazon.